Welcome Back to The Cotton Farm! Look for it under "Clubs & Bundles" on the Home Page! 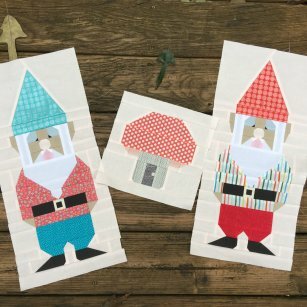 In honor of Kristi releasing her Block of The Month Pattern (Gnome at Home), we will be featuring all of our Hank and Clementine fabrics from Michael Miller. (Search for Hank and Clementine or look under Michael Miller for these). Otter Romp from Paint Brush Studios is the second line being featured. We are offering 31 fabrics in the line. Just look how vibrant and colorful they are! (Search for Otter Romp or look under Paintbrush Studios.) We promise you'll love them. You can also get all 31 fabrics in 1/2 or 1 yard bundles. We love Heather Ross, she is so whimsical and just in time for the Holidays, her full line of Sugar Plum is being featured! (Search for Sugar Plum or look under Windham). PS - Use discount code "FS10OFF" for 10% off of our featured products. 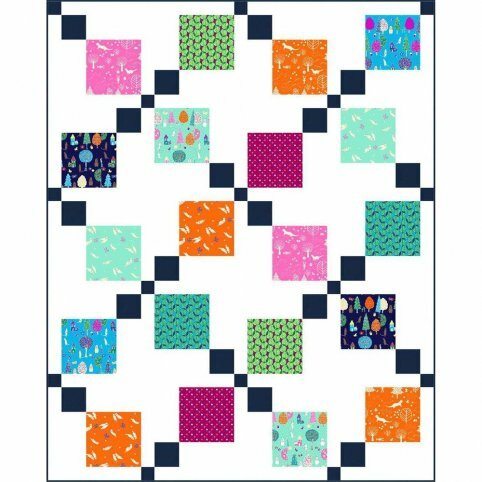 Sign up for our newsletter and you'll receive these two patterns from Paint Brush Studio for free. 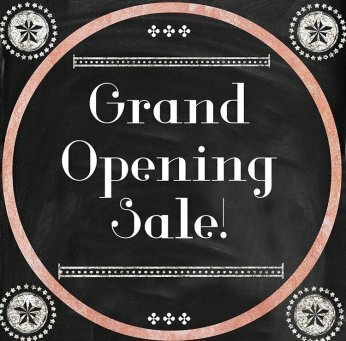 We worked hard to get our website in order so we can have a Grand Opening Sale. We are now OFFICIALLY open and the sale is on! Our GRAND OPENING sale offers 20% off everything INCLUDING LONG-ARM services ! This sale is good until Sunday, August 5. 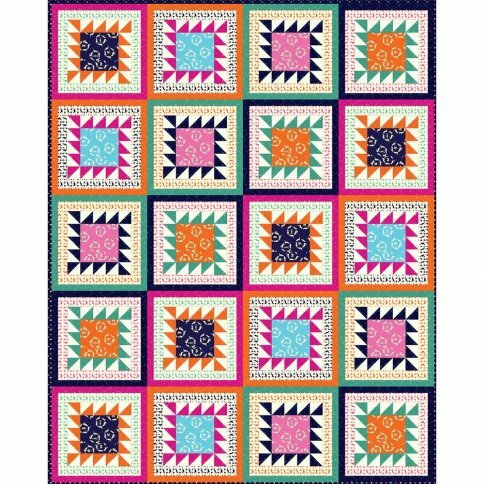 New Fabrics arriving this week, so check back often! *Sale excludes Tula Pink hardware and Tula Pink ZUMA pre-sales. **Free Shipping on orders of $100 or more for US customers only. International customers will receive a discount-please contact us before checkout for more details. Use coupon code “TheCottonFarm” for your discount. Welcome to The Cotton Farm! Back in 2010, when we lived in Seattle, we had a “we should own a fabric store” dream. 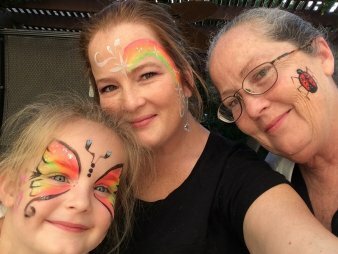 We were going to move to Tennessee and buy an old farmhouse and have rooms filled with beautiful fabrics, old quilt tops and sewing machines, the best threads and notions, all of our favorite patterns and books, and maybe even have some of our favorite industry friends come visit and teach classes. Every so often we would send each other an idea on Pinterest or snap a picture of a “Future Fabric Store” find while out antiquing to be filed away in the Maybe Someday category of our minds. Fast forward a few years and we actually found ourselves moving to the Deep South: Charlene (Mom) to Tennessee and Kristi (daughter) to Georgia. The Maybe Someday turned into a Never Gonna Happen because now that we were in separate states, how was that ever going to happen? As fate turns out, a few years after we got here, we have found ourselves in the middle of bolts of fabric, boxes of notions, stacks of books and patterns…suddenly, we have a fabric shop! While it isn’t yet the farmhouse in the country, it is still full of all of our favorite things. It is our hope that you love what we have to offer, and will come back every so often to watch us grow. We may be small for now, but all great things start out like that, right? Thank you so much for being part of our journey, we appreciate each and every one of you!